Google has revealed Google Stadia, a brand new, comprehensive gaming service that provides gamers, developers, and streamers with a cloud-based platform to distribute and enjoy video games and video game content. There is no console; there is no box. Google’s pitch to game developers is that their high-tech data-centers are the platform. This eliminates a huge financial barrier to entry for many gamers, who will no longer have to purchase the latest video game console or expensive gaming PC hardware in order to enjoy the latest AAA games. If you participated in Google’s Project Stream beta test, then congratulations, you were one of the first people in the world to play a game on Stadia. So imagine this: You’re playing Assassin’s Creed Odyssey on your TV in 4K, you’re nearing the end of a mission, and then you have to leave your house to go stay with your in-laws. You have the choice of leaving your game for a few days until you get back home, or else packing up your console, PC, or gaming laptop to take with you if you plan to keep playing. With Stadia, you can pick up your game on your Chrome-connected smartphone, or tablet, and finish the mission whenever you’d like. 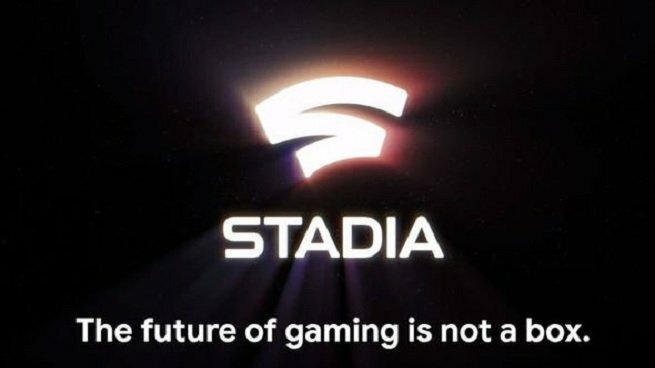 Games played through Stadia will not be tied down to any platform, and that’s something the folks at Google believe will change the industry completely. Save states can be shared across devices, and even with other users. Games will never require downloads, installs, or updates. With a single click of a link, you can be playing the latest AAA game in seconds. So how much will this cost? Will it be a subscription service, and will you have to pay for games separately? What will the system requirements be like, and how fast will your internet connection need to be? These are all questions that still need answering. Google did reveal that Stadia will be launching this year, which means we should have answers very soon. In the meantime, you can check out the official site. Stay tuned.